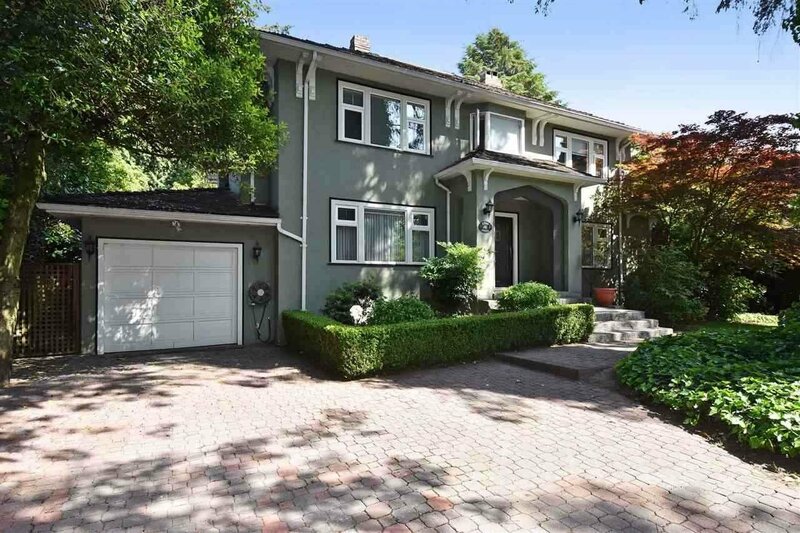 HUGE LOT IN PRESTIGIOUS SOUTH GRANVILLE LOCATE 75.50 X 191.04 (14,423 SF). Classy custom built Georgian Manor on beautiful tree lined Adera Street. Rebuilt from foundation 29 years ago with superior quality and workmanship. Features include 3 level hot water radiant heat, Indoor pool/whirlpool & sauna & steam room. Bright & spacious 5 bedrooms, 7bathrooms, 3 covered car garage and park like garden. Steps away To MAGEE HIGH SCHOOL, MAPLE GROVE ELEMENTARY. Close to YORK HOUSE, CROFTON and ST. GEORGE'S PRIVATE SCHOOL, UBC, TRANSIT. EXCELLENT HOLDING PROPERTY for INVESTOR or BUILDER. MUST SEE! Open house April 27 Sat 2-4Pm.